The ICA final bonspiel of the season is at Greenacres Curling Rink. 24 individuals will be sorted into 6 teams for this social game – see you there. 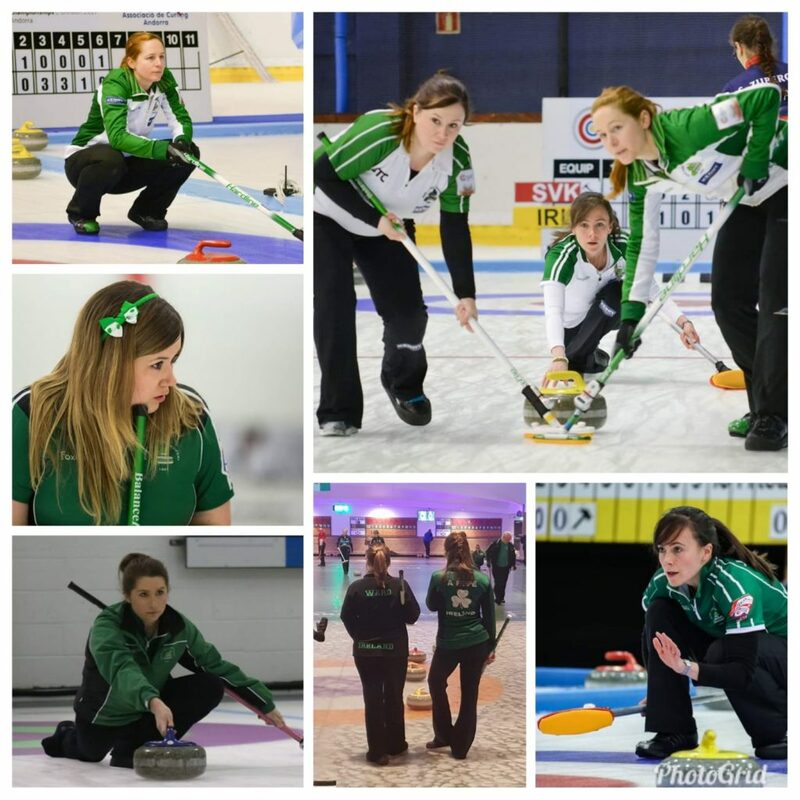 The uncontested teams representing Ireland in the European Curling Championships (ECC) C-Division 2019 in Brasov, Romania on April 12–17, are: James Russell, Arran Cameron, Steve Callan & Eoin McCrossan for the Men and Alison Fyfe, Jen Ward, Jacqui Barr, Katie Kerr for the Women, as well as coach Martin Sutherland. The women’s and men’s winners and runners-up in Romania will be promoted to the B-Division, which will be held at Helsingborg, Sweden in November 2019 as part of the Le Gruyère AOP European Curling Championships 2019. 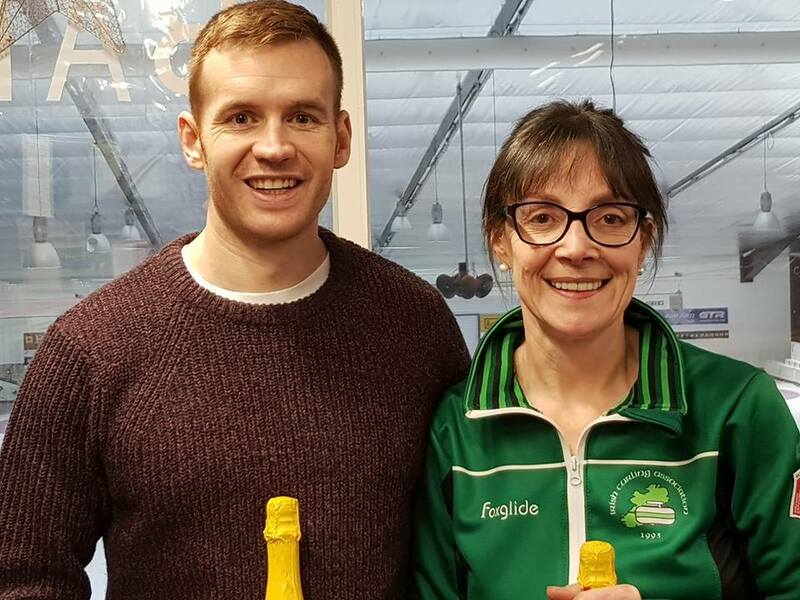 John Wilson & Louise Kerr are the new Irish mixed doubles champions. They will represent Ireland at the World Mixed Doubles Championships in Stavanger, Norway in April. 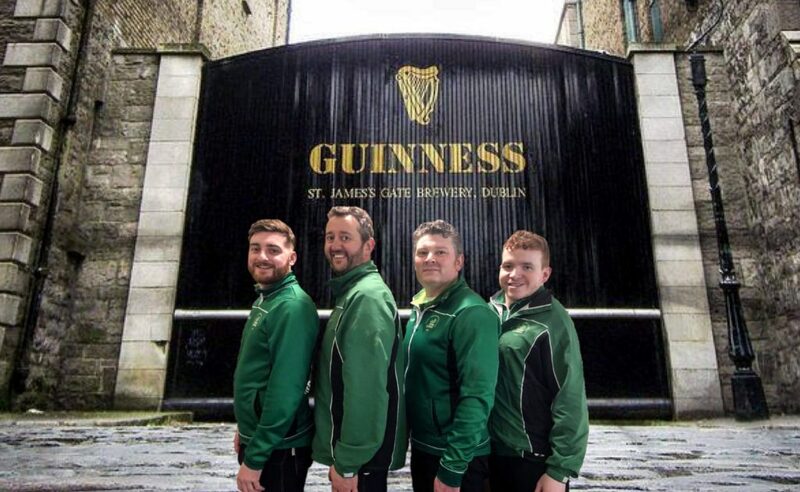 Bill Gray, David Whyte, Neil Fyfe, Ross Barr, Johnjo Kenny are the uncontested 2019 Irish Seniors Mens Team. They will represent Ireland at the World Seniors Championships in Stavanger, Norway in April 2019.